Hello friends, Today I will share 5 major features of YouTube new creator studio. Users can read all these features in brief details. All of these are new and amazing features. Do check the latest dashboard, new analytics, new features and other amazing features. Are you a YouTuber? Have you heard about the YouTube new creator studio? If not, then don’t worry because I am going to tell you each and everything about it. On March 7, 2018, Google announced the new features of YouTube Studio. Obviously, YouTube creator studio has been renamed to YouTube Studio. Google says that the YouTube new creator studio will have a new dashboard, new matrices functionality, customization settings, and much more in the upcoming version of YouTube Studio. Definitely, it is now available for everyone who is a YouTuber who used to publish the videos on YouTube. 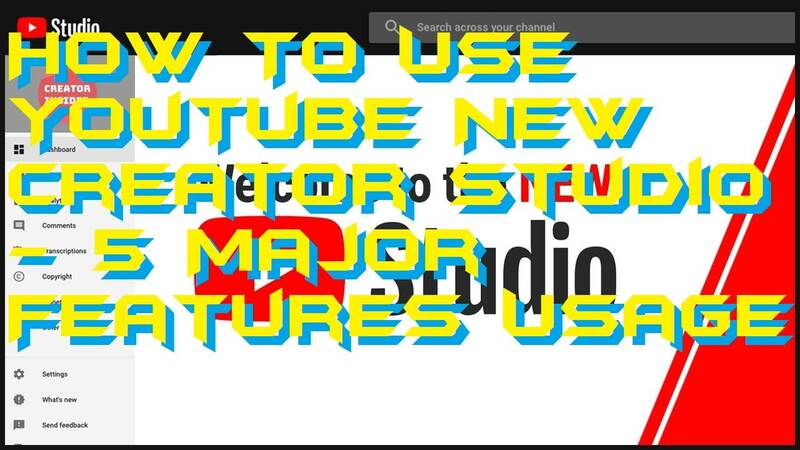 In this part of the article, I will be showing you about how you have to use the YouTube new creator studio or new YouTube Studio. Basically, using the new YouTube creator studio is very simple. However, there are many features offered by YouTube Studio though you might feel confused while using it. But, trust me guys, it is not like that much complicated as you are thinking. To let you understand the usage of it in a better way, I have divided each important feature individually. It will make you understand the feature to use it in a better way. You can also learn about how you can start live YouTube Subscriber Count. So that you can get some views on your channel. The dashboard of the YouTube Studio is completely changed. Some options are still available there but, other things are completely changed. At the left-hand side, you will get normal options as you get in the previous version of the Studio. But, on the right-hand side, you will get a pretty new look. You will get ideas, analytics, stats, revenue report, and much more as an overview. This feature is very much useful and had been added in the YouTube new creator studio. It will show you a graph of how many people have been connected to your channel whether it is about subscribing, sharing, watching videos, etc. Once you will be at the Analytics page then you will get the Realtime views card which will tell you everything about the truth which means how much unique viewers watched your videos. The analytics is also been modified for the YouTubers so that they can monitor their channel growth more easily. Analytics has got much rich looking user interface. Everything was individual previously, and analytics were is at one place so that everything can be determined in one click. There are more tabs available at the top of the Analytics page which you can use to get more data regarding your Youtube Channel. In the YouTube new creator studio, the video list has been changed. Major things are still available such as a number of views, comments, likes, shares, etc. But, the Live Streams has been shifted at the Live tab at the Video option. Whenever you will stream a Live video, then it will be placed at the Live section on the Video option. Previously, it was at the main Video page. Also, when you will edit a video using YouTube new creator studio then, you will find that the tags are having their trending number as well. At the impressions place, you will be able to get the “Impression click-through rate” card. It will tell you everything about the CTR regarding your YouTube channel. When you will click on it, it will explore more details for you so that you can observe the graph more clearly. Basically, impression means about how much percentage of the impression turned into views on YouTube. According to the experts, it will help the creator to make more optimized titles and thumbnails. This was all about how you have to use YouTube new creator studio. There are more features which you can explore yourself in order to take more advantage of the new YouTube Studio. However, if you wish to get some YouTube alternatives then read this one. I hope using this article you have got the idea about how you can use the primary and most important features of the YouTube new creator studio. 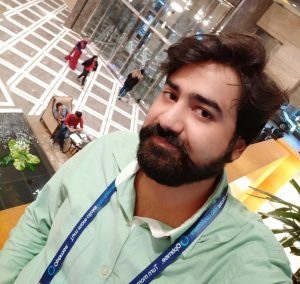 If you know someone who is a YouTuber like you then you must share this article with that guys so that the knowledge will be shared.